Shozy seems to be on a collaboration spree this ear, with two collaboration products announced in just a few months. The first, the Shozy Hibiki Mk2, was announced back in July and was the child of a collaboration with AAK; this time Shozy partnered with Neo Audio to create the Shozy x Neo CP. These in-ear headphones are rather peculiar from a design perspective, but let not their design you fool into thinking their sound is odd too: their sound signature is in fact thoroughly balanced, with good technical ability to complement it. Disclaimer: this sample comes from Linsoul Audio, who provided it for free. You can find it on sale on Amazon and AliExpress at $165. Shozy provides much more complete a package with the Shozy x Neo CP than the previous Hibiki: the cardboard box holds a hard carrying case, which in turn holds the earphones with their detachable cable, three pairs of single-flanged silicone eartips, two pairs of double-flanged three pairs of foam eartips and a pair of acoustic filters. The accessory set is pretty complete – which is to be expected, considering the price being above $100 – but it lacks a shirt clip. The Shozy x Neo CP has quite noticeable looks. The shells are made of transparent plastic, with the right one coloured in red/magenta and the left one coloured in light blue – so you’ll be able to easily distinguish them. The side that faces the ear is completely transparent and allows one to see through the earpiece and see every component. They’re pill-shaped, a bit like the Shure SE215 or the Magaosi K3. The nozzles are made of metal and are removable, as there are acoustic filters that one can use to alter the sound signature. They are peculiar as they have a ring that stick out, so one has to press the eartips pretty hard for them to go around said ring and stay in place. If you don’t press them out, you will end up like me, with eartips stuck in your ears. So don’t be like me and press the tips all the way down. They’re very well built, and the fact that they are made of a single piece of plastic that completely encloses the balanced armatures and the crossover seems to make them especially resistant and durable. There are no weak points, except for the MMCX connector on top that will eventually wear out and need replacing – not an easy feat, given how everything is drowned out in plastic. Proper care should ensure a long life, however. In terms of comfort, the Shozy x Neo CP are odd to say the least. It took me a while to get used to them, as the nozzle is extremely angled and the eartips are very small, so the combination of the two requires careful attention to get the right fit. The Shozy x Neo CP requires very deep insertion, as the eartips are small and won’t seal the ear canal unless they are inserted very deep. The extreme angle of the nozzle makes insertion a bit difficult to me, as I have to keep the earpieces angled so that the nozzle is almost perpendicular to the ear in order to correctly insert them. Due to the nozzle being so angled, using larger eartips does not make the situation appreciably better. Once I got them right, though, I could keep them on for hours. These are probably among the most comfortable headphones I’ve tried so far, even more so than the RHA T20i (which have been among my favourites ever since I first tried them). I used the Shozy x Neo CP while on a flight and the difference in the volume of the engines was noticeable after I had plugged the earphones in. The isolation the earphones provide is in fact stellar, effectively reducing the volume of outside noise down to something that is easily manageable and won’t disturb your listening. In quiet environments sounds from outside are completely drowned out, so much that I couldn’t even hear people talking at less than 2 metres away from me. My mechanical keyboard’s clacking is almost inaudible. Shozy flaunts 25 dB of noise reduction and I believe this is accurate – it’s almost as good as having earplugs! The cable is remarkably well-made, with four individually-sleeved cores in silver and copper colours (one pair for each colour). It is braided and rather soft and malleable, without any moulded plastic where it rests on the ear (though it is the cable itself to be moulded to follow the shape of the pinnae). It is rather good for a stock cable and it competes with aftermarket ones. 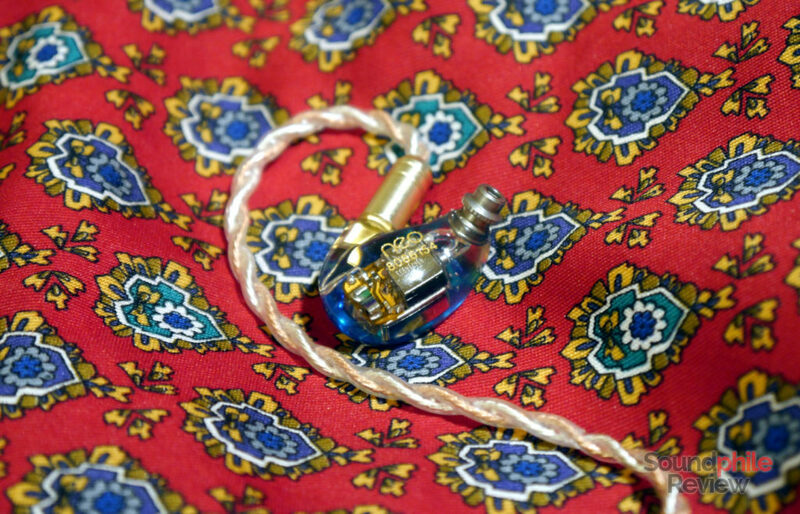 Microphonics is minimal, though using a shirt clip would further reduce it. As usual, I linked up the Shozy x Neo CP with a few different sources, mainly the Topping DX7, the Venture Electronics Odyssey, the Cayin N5ii. I used an iFi IEMatch most of the time. Almost all of the source files were FLACs in standard resolution. No break-in was applied – if its usefulness is questionable with dynamic drivers, it is zero with balanced armatures. This time Shozy chose, together with Neo, to go the “full balanced armature” route. The Shozy x Neo CP is in fact using three balanced armatures, a fact that makes them the “opposite” of the Hibiki MK2 with its only dynamic driver. The driver that reproduces bass frequencies is made by Knowles (model 22955), which is quite good at this price point. 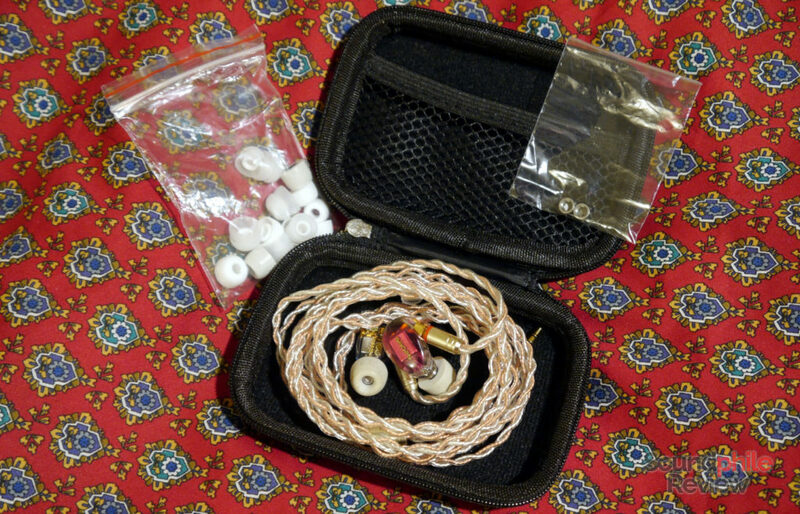 Soundstage is decently wide for an IEM, and presents the listener with a scene that extends outside of one’s head – so it’s not the usual feeling of the sound being inside the head that is so common with IEMs. Imaging is decent, though exact location of instruments is never easy to tell. Instrument separation, on the other hand, is above average and allows one to always have a clear picture of what’s going on. Shozy’s previous Hibiki Mk2 sound is markedly warm, but the Shozy x Neo CP is almost the opposite. Although it is very well balanced, the CP is more leaning towards brightness than warmth. The custom-tuned balanced armatures that take care of mids and highs produce crisp notes, but they also tend to be more prominent than the bass armature. light mesh: this is the filter type I found pre-installed on the earphones and the one I based the review on, so the sound signature described below is the one you get with this filter. thick mesh: the thick filter seems to tame both lows and highs, making mids come out more and taming the brightness. The differences are subtle, but significant: I could hear instruments operating in the midrange much more clearly, and impact-based instruments (e.g. drums) are much more present. The bass section is rich and articulate, and it provides a good amount of body to the sound without ever being excessive or leaking over the midrange. It is a small bit less emphasised than in an ideally flat response curve, but the difference is negligible. Bass is fast and it has good control, so it delivers impacts that are precise and well-defined. This also affords the bass section a good amount of detail, that persists even in crowded tracks where multiple instruments operate in this area. Depth-wise, the Shozy x Neo CP are not the best earphones I’ve come across as they only reach 60 Hz with decent volume and then rapidly slide into inaudibility at 40 Hz. All in all, though, there’s a lot to like here and the relatively shallow depth is not a showstopper issue. Midrange is slightly tilted towards brightness so it doesn’t appear to be entirely neutral, though it is in fact very balanced and the emphasis on the upper region is not dramatic. It is enough to lend instruments with a focus on that region (e.g. brass instruments, flutes, electric guitars, etc) some spark. I listened to some Snarky Puppy recordings (as usual!) and trumpets are simply glorious! Shozy and Neo got to create a signature that does not take anything away from music despite adding focus on upper midrange, though: the balanced armatures are tuned so that this leaning towards brightness is just a hint and it does not make instruments like acoustic guitars and pianos sound off because of this (KZ could take some notes here). Speed is great, so you actually feel the impact of drums or the plucking of strings (e.g. with harps). The level of detail is also very good and one can hear many small nuances, such as the musicians’ breath or the clacking of frets on wind instruments. What is probably the best feature of the Shozy x Neo CP is treble: it is really clear and full of detail, but it does not sound as the usual treble produced by balanced armatures, which often comes out as dry and artificial. Here it is highly detailed and well placed in the mix, plus it always sounds “natural” – in the sense that it never sounds too aggressive, too dry or too sharp. It’s pleasant, and it is because its sits right where it should and conveys the right amount of information clearly. It also sounds airy, though it’s not exactly sparkling. As they are very balanced, I would say that the Shozy x Neo CP are good for almost every genre out there, though the lack of bass depth might make them less suitable for genres where that area is important (i.e. some classical recordings, electronic music, etc). BGVP DM6: the DM6 offers similarly balanced tuning, but is different in details. Not only because it offers much more actual detail throughout the whole spectrum (and better speed, too, which contributes to that), but also because there are many more nuances that can be heard and technical minutiae that give it the upper hand in the comparison. The Shozy x Neo CP appears more relaxed in its tuning, and even more likeable to an extent. The lows reach deeper on the DM6, and the highs are a bit more extended (and way more detailed), while the mids are more neutral-leaning. Technically speaking, the DM6 are superior in how they present sound (soundstage is wider and deeper and imaging is more accurate), and instrument separation is also better. Although the difference is not night-and-day, the DM6 is sensibly superior in almost every aspect (save for tuning, which is subject to personal preference). Tenhz P4 Pro: the CP has better bass extension than the P4 Pro and it hits harder, having a tiny bit more presence in the lower area. The two are otherwise similar, though the CP has a tiny bit of added upper mids. Treble is also slightly more prominent and extended. In terms of signature, the CP is a bit more engaging, while the P4 Pro sometimes sound a bit sterile. The soundstage is slightly smaller on the CP, and the instruments also appear slightly less separated (at least spatially). 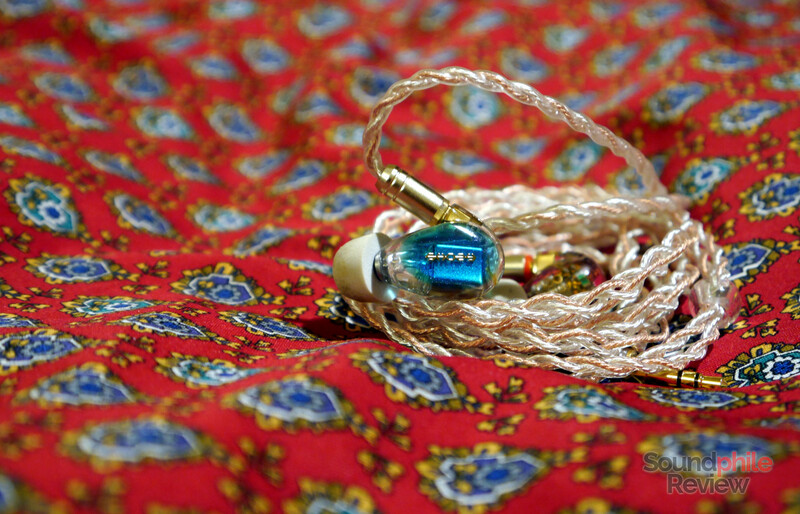 KZ AS10: although the AS10 is probably the most balanced IEM made by KZ, its sound signature is still not as balanced as that of the Shozy x Neo CP. Bass is much more prominent, up to the point it feels almost invasive when compared to the CP’s; midrange is warmer, contrary to the slightly bright CP tuning; treble has similar emphasis, but it lacks the same level of detail the CP offers. Soundstage, instrument separation and imaging are all better on the CP. In the end, the AS10 comes out as mostly worse than the CP, at least from a technical perspective, but it is also about one third the price! BGVP DMG: I wrote that I would compare the CP to balanced armatures-based earphones, but the comparison to the DMG is inevitable as they are priced almost the same. The DMG is certainly more oriented towards fun: despite having very well balanced tuning, it is a tiny bit V-shaped with mid-bass and upper mids being emphasised a bit, so it is a bit more engaging and lively at the cost of reduced fidelity. In terms of technical ability, the DMG has a slightly larger soundstage and better imaging, but comparable instrument separation and a similar level of detail (though bass is less detailed, though it has more kick). The Shozy x Neo CP is nothing short of a beauty, with great design and a sound signature to match. The CP is acoustically just as it is aesthetically: beautiful and pleasant. 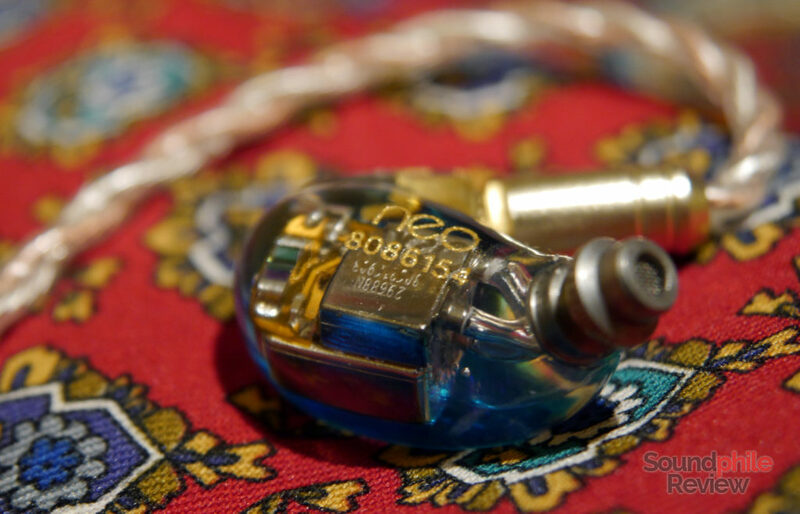 They’re small, but their size does not tell the whole story as those small shells hide some great sound. Their tuning aims at a very wide audience and the absence of noticeable peaks and dips (as far as I can hear, of course) means that they can be enjoyable for almost everyone. If we add the great build quality on top of the great sound, then it’s clear the Shozy x Neo CP are a good contender in the $100-$200 area. Despite suffering competition from great products such as the BGVP DM6, which are only $30 more, or the BGVP DMG, that retail for $20 less, the Shozy x Neo CP hold their own against them and appear like a good alternative – though they’re not equivalent to neither as they have their own sound signature which is quite different from the other two. In the end, the Shozy x Neo CP looks like a valid product with enough pros to warrant a try.